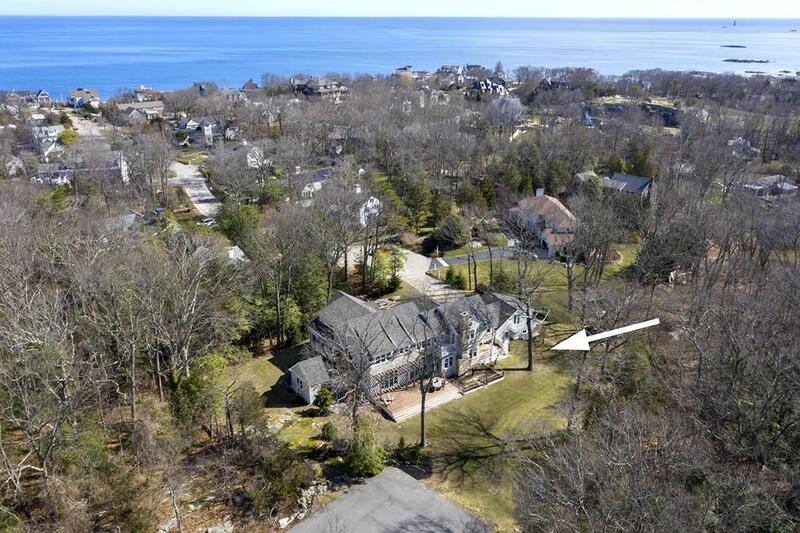 This stunning home, located on one of Cohasset's most coveted seaside neighborhoods just off the Gold Coast, was completely rebuilt in 2014/15.The expansive floor plan lends itself to family living & entertaining. The first floor boasts a gourmet kitchen featuring top of the line SS Thermador appliances & is open to the family room. Mudroom consists of built-ins & tile flooring, a great spot to store all of the "stuff" . The sun drenched dining & living room lead out to the deck overlooking the totally private backyard which features a paved sports court, outdoor shower, garden area & plenty of space for gatherings of friends and family. A private 1st floor bedroom and full bath make great guest quarters. A kids's study & large office provide plenty of work space. Upstairs youâll find a spacious master suite w/ full bath, walk in closets & balcony overlooking the backyard. 3 other bedrooms, one en-suite, the other two w/ lofts & a Jack & Jill bath, plus a playroom complete the 2nd fl.